Typically many businesses review indirect suppliers at the end of contracts and for travel management this will often involve a process of evaluating the market as well as any new technology advancements before selecting a shortlist of suppliers for the RFP once the goals and objectives of the process have been agreed. Often travel tenders will also now incorporate the integration of expense management tools as well as Duty of Care and traveller well being meaning the scope of a travel tender now touches most parts of a company's business functions.With this in mind, it's good to understand how Request for Proposals (RFP) are used within the corporate travel industry. 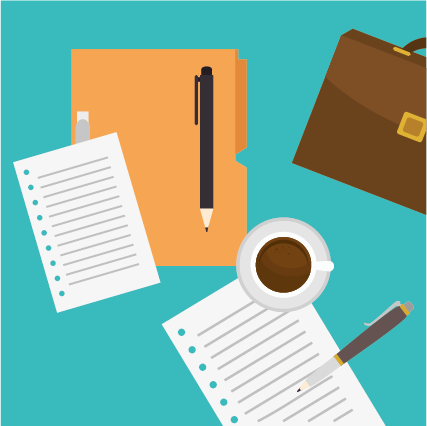 The RFP process is generally broken down into three stages. Stage 1 begins with building the Internal tender strategy. At this stage it is good to look at the strengths and weaknesses of your current supplier and use this to identify what the goals and objectives should be for your tender. Bear in mind that at this point it might also be the time to identify whether it may be prudent to extend your current contract with your current provider. Running an RFP will take a big commitment on your part and if your current supplier is delivering then it’s worth exploring first whether they can help you support your objectives, avoiding the need to conduct a costly and time consuming review. Once the objectives and goals have been agreed, use these as the starting point for the areas that you would like potential bidders to cover in their responses, ensuring you gain enough information to evaluate competency. Make sure that the goals and objectives are clearly stated at the start of the tender document as this really helps bidders understand your requirements. In addition, a breakdown of current business travel spend and travel volumes as well as an overview on how travel is currently managed, helps bidders understand your business and culture and avoid unnecessary questions once the RFP document is released. Agree internally a realistic timetable for the process, along with the evaluation criteria and weightings as well as a scoring system that will be used to evaluate responses. Always factor in an extra month beyond your initial timelines as it is often the case that due to other work priorities and the time it takes to evaluate and organise supplier presentations, reviews, feedback and follow-up often takes much longer than expected. 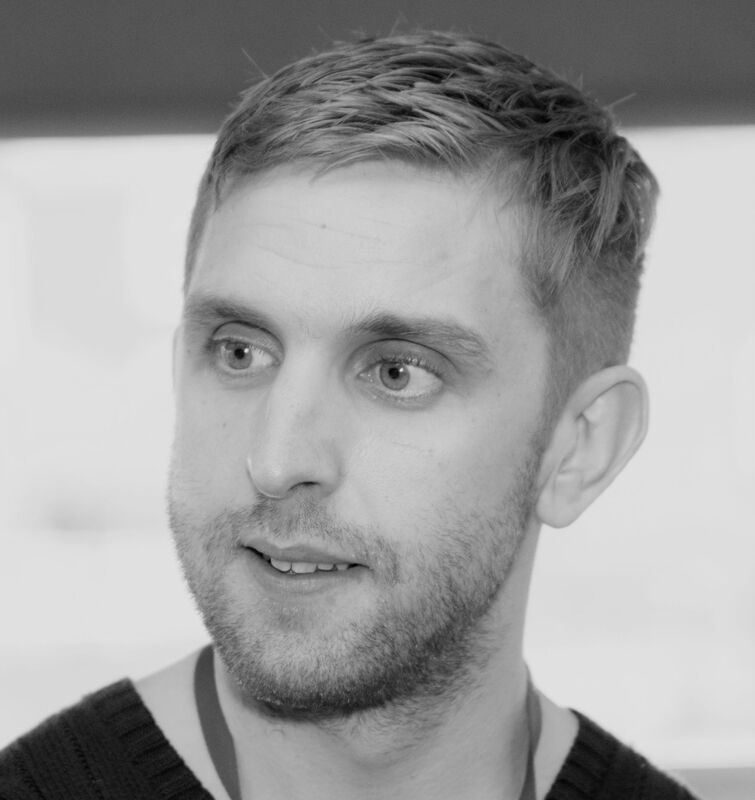 Stage 2 sees an organisation beginning to source the market for new providers. When doing so, try to look for members of a reputable trade body such as the Institute of Travel Management or the Guild of Travel Management Companies. Also take into account suitable recommendations from like minded businesses and source approved case studies of business case achievements similar to your own goals/objectives for an accurate benchmark. 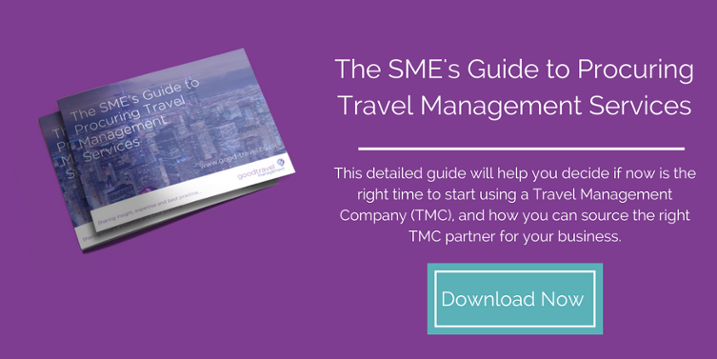 It’s also worthwhile at this point using the Buying Business Travel Top 50 TMC’s list to draw up a list of potential bidders This is a brilliant guide that provides a comparison of all of the leading travel management companies in the UK. The guide provides background on each business travel agency along with their technology capabilities and service offering. It’s always worthwhile drawing up a list of different suppliers making sure you get a breadth of supplier ensure they are the right fit for your business. If you are a SME make sure that the prospective bidders have experience in your industry sector. Also look at the turnover of the TMC’s - if you are spending less than a million pound on travel, will one of the bigger TMC’s place as much importance on your business as a smaller mid-tier agency? Having sourced the market, set a provisional list of Travel Management Companies, leaving you to agree on the final bid. Remember to include realistic RFP schedule times within the document including deadlines for the intention to bid, requests for qualification points, bid returns, elevation, presentation dates, client reference reviews, post-bid negation from nominated TMC’s and reward contract date in addition to suggested implantation period. Stage 4 sees companies conducting a full review of the whole process from start to finish. Identifying what went well, what did not, as well as any missed opportunities for any future reviews. At this point it’s really important to take the time to also give the unsuccessful bidders constructive feedback on their bids and solutions. use this feedback to develop and evolve their approach and offering so although this takes extra time it is always extremely valued by the participants. An RFP should be created based on a minimum annual spend of £100,000K to best serve the intentions of the sourcing exercise and the time required to conduct the exercise. If your organisation has a good knowledge of the corporate travel sector, there's no need to use a consultant to aid you with your bid.Alternatively, if there are strong gaps in your knowledge a consultant`s support could be considered. When creating your RFP, you should seek input from your key stakeholders so it’s as relevant to your organisation as possible. Express your full needs in the RFP, setting a clear understanding of your expectations and objectives allowing the Travel Management Company to understand where you want your travel programme to go, and enable them to provide the relevant solutions and costs in their response. For more information on putting your Request for Proposal together, get in touch with Good Travel Management for further advice.